Which group should I tackle next? So I've committed to doing a couple more League based CSA skins for Benton (Emerald Archer is done, working on another, miiiight do one more but I haven't decided) but assuming I don't burn myself out, I'm a bit torn on who to do next. I have so many ideas that I wanna play with. So I thought I'd make a poll, see what everyone thought. Im not gonna commit to a whole group, but I figure I'll do a couple of the core characters from whatever group. 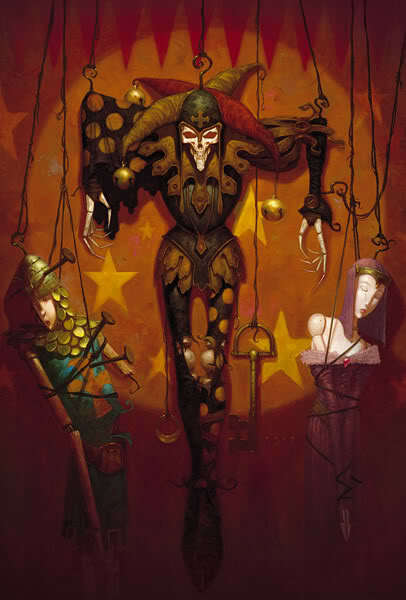 I'd really love to see a version of Jester. We don't have anything for him already, and I'd love to make him a central part of the CSA heroes mission in the CSA arc of my campaign. Aside from him, I like your ideas for Luthor and might like to see some more of the Satellite Era League members like Hawkman or Red Tornado. We've got a nice Elongated Man from the contest years ago. I want to break away a bit, only because SO MUCH of the league has been done between myself and others. That's entirely fair. I'm thrilled with you taking on some of these characters, given your love of the setting. I say the Lodge, the legacy potential there really makes the story/characters - on both teams - more interesting and rounds out their backgrounds more.